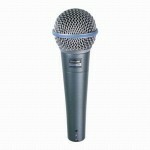 The unidirectional (cardioid) polar pattern of the SV100 helps reduce feedback, while the wide frequ..
SM58 Vocal Microphone Type Dynamic (moving coil) Frequency Response 50 to 15,000 Hz Po.. 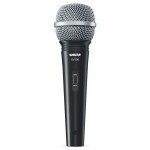 Rugged, reliable performance for vocals. 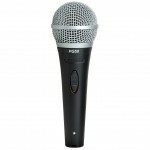 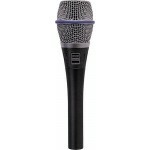 Engineered to be easy to operate, the Shure PG58 lets yo..
OVERVIEW A mic that will bring out the best in your vocals. 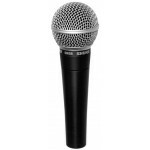 Engineered .. 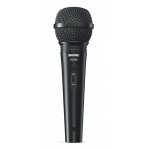 Perfect for all vocal applications. 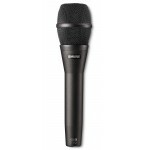 The Shure Beta 87A Supercardioid Condenser Mic is a new take .. 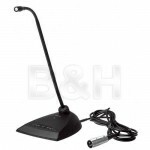 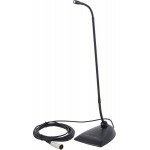 Beta 58A Vocal Microphone : Type Dynamic (moving coil) Frequency Response 50 to 16,000 H..